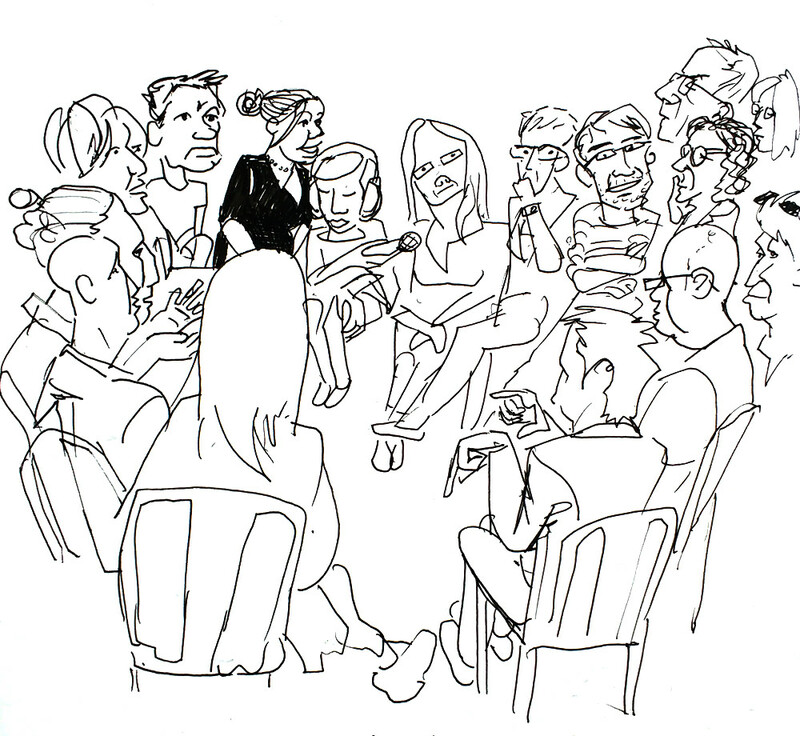 Helen Mason, founder of Animation Therapy, has been running Animation on Prescription conferences biannually at Encounters Festival since 2010. This year she organised a free public screening and a workshop for medical, dental and veterinary professionals designed to help them confront their own compassion fatigue. Helen explained that compassion fatigue was brought sharply to her attention when an occupational therapist colleague committed suicide. Further research revealed that both the dental and veterinary industries had very high suicide rates. Mason suggested that the same must be true for medical professionals, though the National Health Service here in the UK (NHS) does not keep records of staff suicides. She pointed out the irony that NHS staff absences due to illness or fatigue, are documented rigorously. Lord Stone of Blackheath, an active political advocate for issues relating to mental health, started the morning session by sharing his personal perspective on compassion fatigue. He also discussed the awareness campaign he’s helping Helen Mason to launch. Unfortunately I missed Lord Stone’s group discussion, but waiting for the next natural interval afforded me time to sketch the beautiful workshop setting. 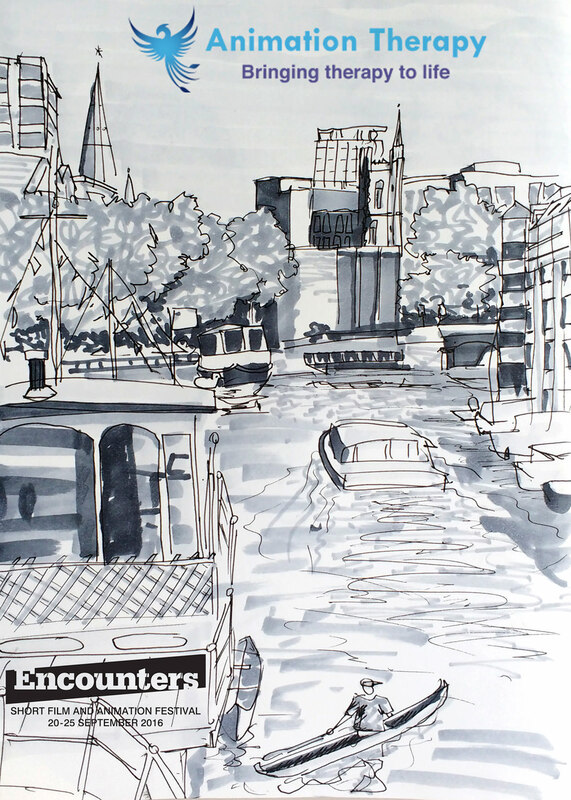 Floating Harbour Films is a Dutch barge moored to the Welshback stretch of the river Avon in the centre of Bristol. This venue, along with the workshop facilitators, donated their time and resources without charging in order to raise money for the Bluebell Charity fund. Bluebell supports people struggling with pre and post-natal depression and anxiety. After some brief introductions the group began the first set of exercises. The majority of participants were occupational therapists (O.T.’s) looking to learn Helen’s techniques to use in their own practice. Each participant was given a few sheets of uniformly sized card and instructed to draw in landscape format. The first image could be whatever we liked, presumably to warm us up. 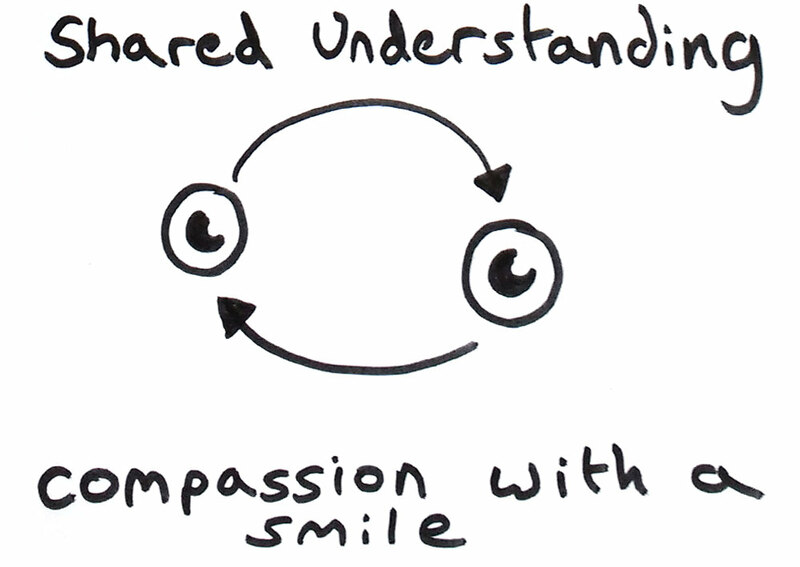 For the second we were asked to express the concept of compassion (see example drawing above). Maria Hopkinson-Hassell, the animation facilitator, encouraged us to place our drawings carefully within the defined brackets on a well-lit board. 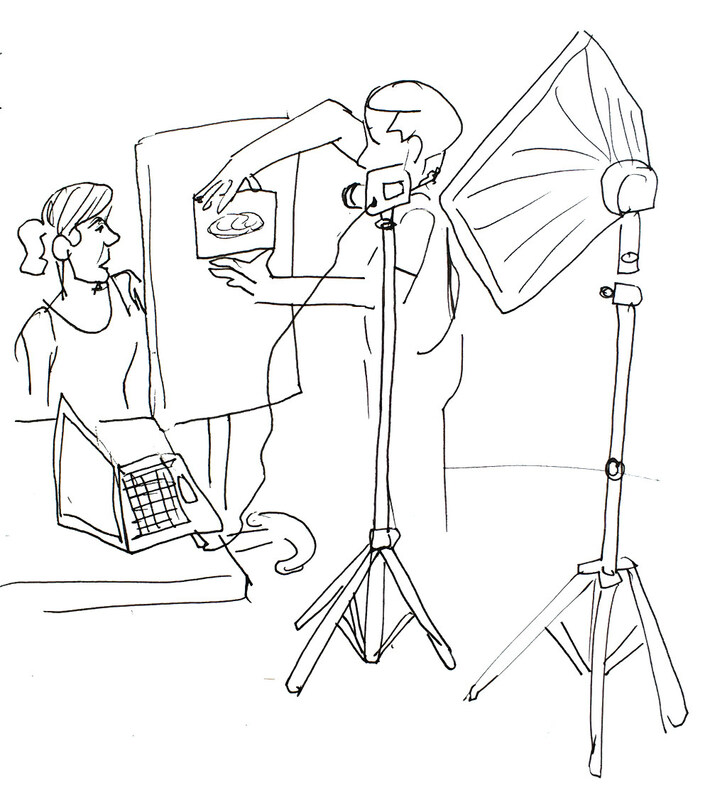 One by one we photographed our images, importing them straight onto a laptop which was running stop-motion software. When looped, the end result was a chaotic flickering montage, held together visually by the consistent paper size and positioning. Our next task was to recall a moment of resilience from the past, a time when we had to keep going despite fatigue or distress. We were asked to express these feelings on a piece of paper, cut to the shape of our hand. An unexpected intimate moment was subtly orchestrated by Helen as she encouraged each participant to have their hand traced by someone else from the class. This activity resulted in an explosion of colour. A herd of occupational therapists gathered around the art supplies table, gradually spreading them in disarray across the workshop. Time restraints prohibited us from attempting an animation with our kaleidoscopic hands; instead Helen insisted we write our names diligently on the back with the promise that they’d be animated in our absence and safely posted back to us. 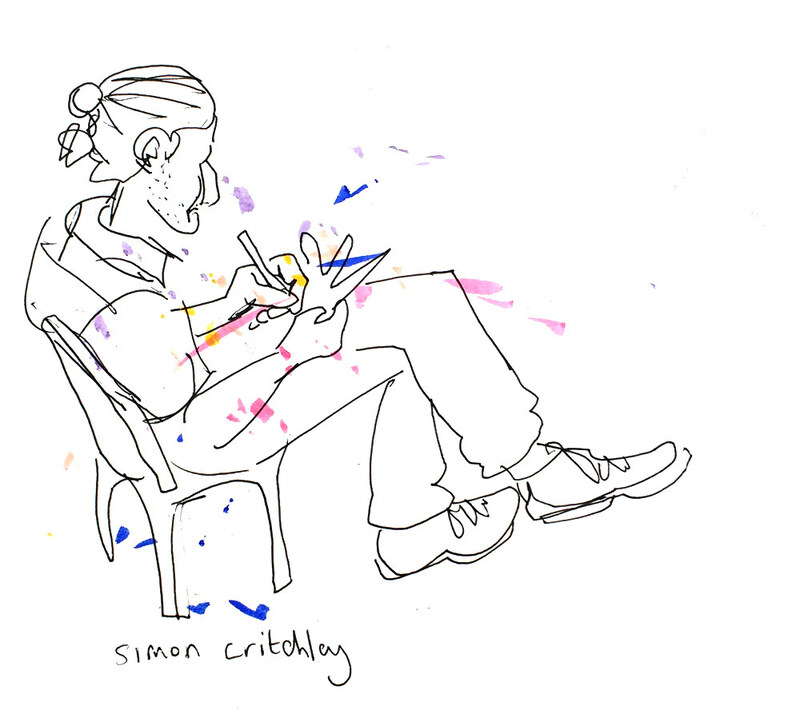 After drawing Simon Critchley colouring in his paper-hand, we had a quick chat. In a few words he articulated why animation seems to lend itself so well to art therapy: for a lot of his clients, control is not something they have experienced much in their recent history: animation offers a chance to play with extraordinary levels of control, if only for the duration of these short improvised productions. 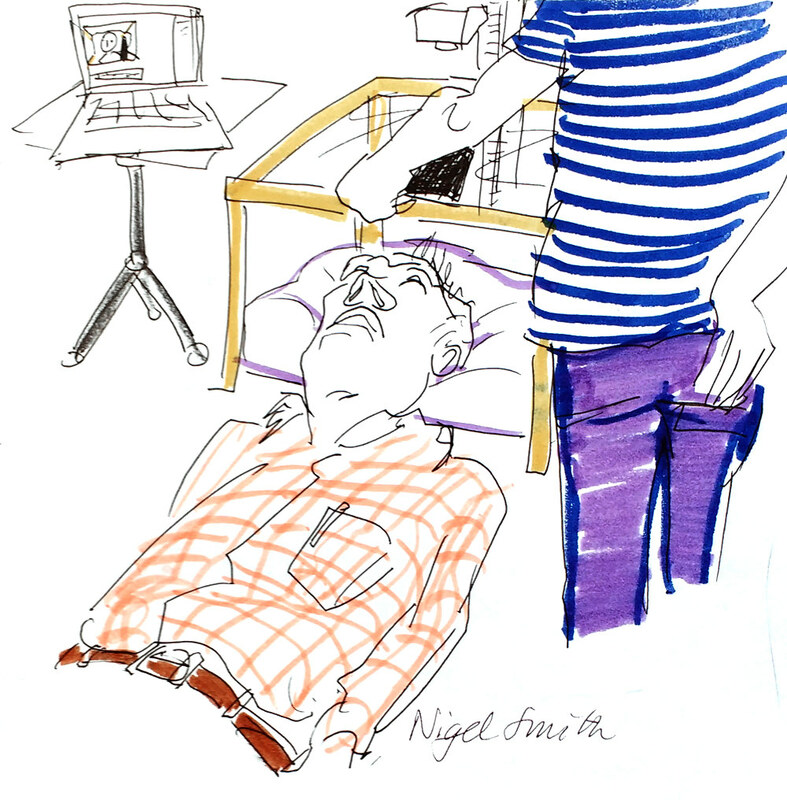 Nigel Smith, a retired-doctor-turned-animation-workshop-leader, volunteered his face to co-star in the next pixillation exercise. A rostrum-mounted camera photographed his expressions from above as a second workshop participant moved figures, cut from magazines, across a glass table which intersected the photographic field. This method sparked a conversation about Peter Gabriel’s Sledgehammer music video, produced in 1986 by Bristol- based Aardman Animation. Following a sunny lunch on the deck of the barge, Helen gathered us in a circle to facilitate a group discussion about compassion fatigue. Helen (above, identifiable by the black dress) concluded the group discussion by asking us to write a postcard to our future selves. In two weeks this will be sent back to us, along with our illustrated hands. We all wrote supportive advice that should remind us how to be kind to ourselves and help us prioritise our well-being. The final animation activity was facilitated by Tim Webb, Royal College of Art, and the director of ‘A is for Autism’ (1992), a seminal animated documentary which emerged from a collaboration with several young people with autistic spectrum disorder (ASD). Each workshop participant was instructed to make a miniature version of themselves out of colourful lumps of Newplast Modelling Material. The 11 tiny figures shared the limelight in a claymation ensemble within the short film which gradually emerged. In between frames we participants huddled around the set, incrementally adjusting our respective putty avatars. At 3pm we dispersed across Bristol city centre, congregating a few hours later at the Watershed, Encounters Festival base camp. Helen presented two programmes of films; the first consisted of animations created in collaboration with service users. The aforementioned ‘A is for Autism’, kicked off the programme as an example of best practice. The screening also included films produced by Animation Therapy such as ‘The Haldon’, a film made by staff and service uses at a ward for people struggling with eating disorders in Exeter. The second programme included films by professional animators, many of whom are well known for their animated documentary work. Helen emphasised the value of collaborative work with animators when exploring therapeutic topics. Andy Glynne’s production company, Mosaic Films, featured heavily; several shorts from their British Animation Award winning series ‘Animated Minds: Stories of Post Natal Depression’ were included. ‘Mike’s Story‘ stood out to me, as particularly touching. Follow this link if you wish to donate to the Bluebell Charity fund for people struggling with pre and post-natal depression and anxiety. We look forward to many more years of Helen Mason hosting Animation on Prescription events at Encounters Short Film and Animation Festival. Check out the trailer and campaign film for this work-in-progress from Mosaic Films, the London production company behind the two ‘Animated Minds’ series. And what a great reason to use animation – revealing the secrets of a country where the cameras just couldn’t go. There’s just a week left to go to donate to the film’s Indiegogo campaign. An insightful interview with mosaic films Andy Glynn who made the animated minds series. 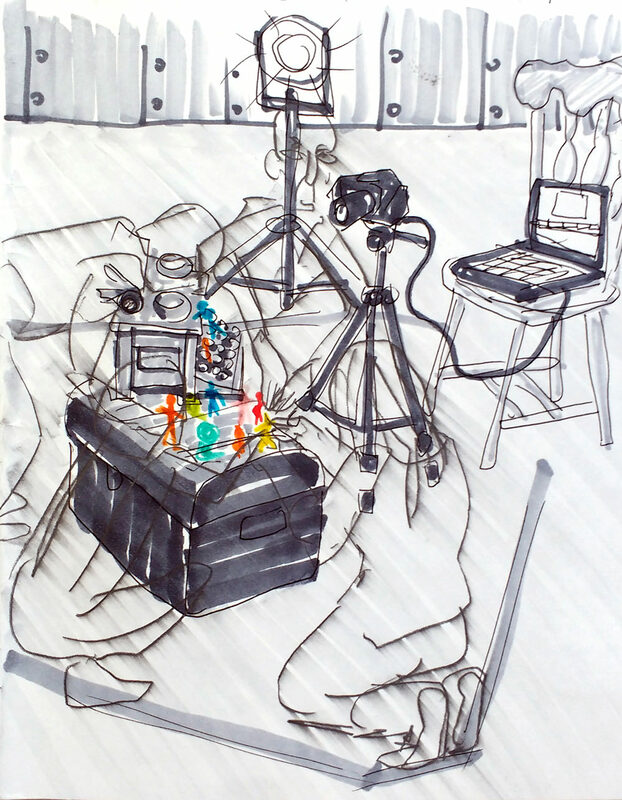 Great manifesto for using animated documentary, plus some info on what he is working on now. Two award-winning series of animated shorts exploring mental illness, made by Mosaic Films for Channel 4 & Teachers TV, and funded by the Wellcome Trust.